The 6A8 is a Multi-Electrode Vacuum Tube of the Metal Type, Designed to Perform Simultaneously the Functions of a Mixer and of an Oscillator Tube in Super-Heterodine Circuits. 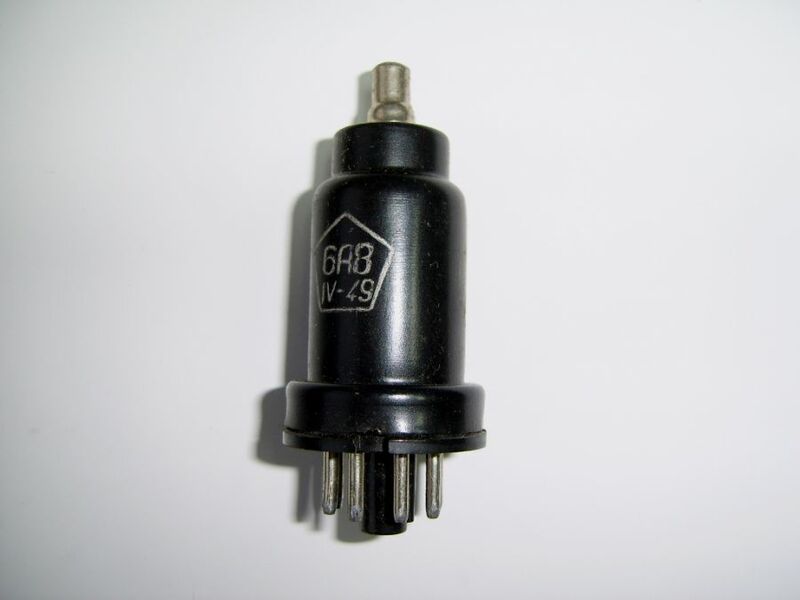 The 6A2P is a Multi-Electrode Vacuum Tube of the Glass Bulb, Designed to Perform Simultaneously the Functions of a Mixer and of an Oscillator Tube in Super-Heterodine Circuits. The 6A7 is a Multi-Electrode Vacuum Tube of the Metal Type, Designed to Perform Simultaneously the Functions of a Mixer and of an Oscillator Tube in Super-Heterodine Circuits.